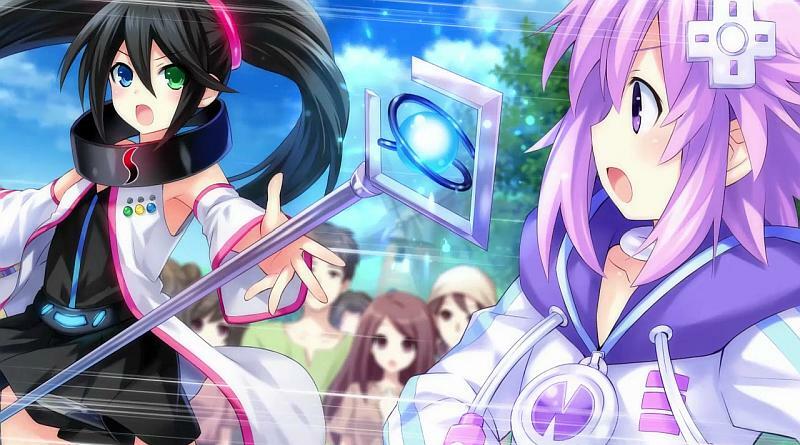 Superdimension Neptunia VS SEGA Hard Girls is a crossover game for the PSVita, that as the name implies combines the Superdimension Neptuna franchise by Compile Hearts and the SEGA Hard Girls franchise by SEGA, both franchises being known for their satire on video game tropes with moe anthropomorphic consoles as the lead. As previously announced, Superdimension Neptunia VS SEGA Hard Girls for the PSVita will receive a western release by the usual international publisher Idea Factory International. But recently, an ESRB rating has popped up that suggests there may also be a PC version in the works too. Though nothing has been announced, it would make sense since previous games from the Neptunia series have appeared on Steam. It would also make sense from a business point since the PC has a far larger install base then the PSVita could ever hope for. Rating Summary: This is a role-playing game in which players assume the role of a goddess as she travels through time to save the past from destruction. As players explore dungeon-like environments across eras, they traverse platforms, collect items, and engage in turn-based combat with various enemies. Characters use swords, magic attacks, and blaster-like weapons to defeat robots, demons, and human characters. Combat is highlighted by frequent light effects and cries of pain. Some female characters wear low-cut outfits that display cleavage and jiggling breasts. One scene, involving a talking motorcycle, contains suggestive innuendo: “[Y]ou both get to ride me at the same time. . .Those people would probably beg to be ridden by you.” The words “sh*t” and “b*tch” appear in the dialogue. Keep an eye out in the future for a possible PC version of Superdimension Neptunia VS SEGA Hard Girls announcement, but until then players can still play the game on PSVita in Fall 2016. Superdimension Neptunia VS Sega Hard Girls gets western release dates Rumor: SEGA not attending GamesCom Rumor: Two More Virtua Fighters to Cameo in Dead or Alive 5 Rumor: SEGA survey askes if you want a Sonic Prequel SEGA teases new All-Stars Racing track – Stick Canyon from NiGHTS into Dreams? Wow… Which SEGA Hard Girls said that?